Blood is the most essential fluid in our body for keeping us alive. We human will not be able to survive if the level of blood in our body becomes too low. Blood needs to be at its optimum level with all the necessary things to keep us healthy and alive. Blood is a body fluid that circulates to every part of the body to transport the necessary nutrients and oxygen. It also carries the waste materials and carbon dioxide from the cells which are produced during metabolism and energy production. The waste materials from the blood are then filtered by kidneys, and the carbon dioxide is removed by the lungs. Other than this, blood carries hormones and cells that fight with infectious diseases. Blood is majorly composed of plasma which is a yellowish watery liquid and blood cells. The plasma carries everything in the blood and transports along with them as the heart pumps the blood. Blood gets its red color from the cells, called red blood cells, which carries oxygen in the blood. Red Blood Cells (RBCs) in a blood vessel. Blood travel in the body with the help of heart, a muscular organ, whose function is similar to your garden’s water pump. The blood travel in the closed path inside the body in blood vessels which are the part of the circulatory system. Our body has two types of blood vessels; arteries and veins. Arteries transport the blood from the heart to every part of the body. Whereas, the veins transport the blood back to the heart. 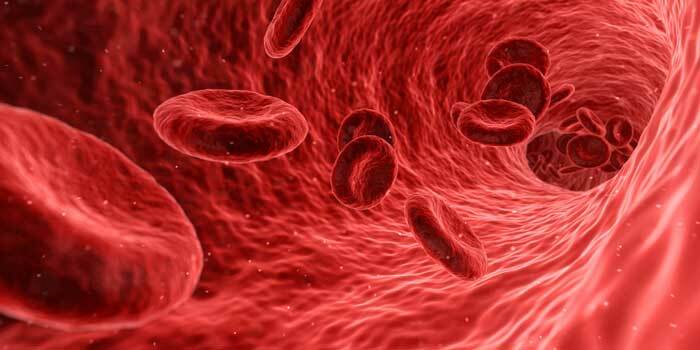 Why Blood Travel in the Body? Traveling of blood in our body is very important for staying alive. Because our body needs a constant supply of oxygen which is carried by red blood cells (RBCs). When the oxygen from RBCs is consumed, they need to go back to the lungs for carrying oxygen and exhausting carbon dioxide. The most sensitive organ to oxygen in our body is the brain. The brain starts to get unrecoverable damage within minutes if the supply of oxygen is seized to it. The other reasons for the traveling of blood is to transport the waste materials from the cells for removal from the body. Moreover, the resources that the cells have used from blood in their part should be renewed so that cells continue to function properly. Red Blood Cells (RBCs) – These cells have the task of carrying oxygen to every part of the body. The oxygen is a necessary component for releasing the energy that we require for doing work and thinking. RBCs contain a special protein, called hemoglobin, which is responsible for taking the oxygen from the lungs. The color of the blood turns bright red as it absorbs fresh oxygen. White Blood Cells (WBCs) – WBCs play a crucial role in the immune system and fights with infection directly. They are various ways in which these cells are triggered to reach and fight with infecting viruses and bacteria. They recognize the foreign microbes with antigens on their bodies, then they fight with them accordingly. Platelets – These cells come into action when a blood vessel that carry blood is somehow damaged. Platelets quickly gather into the damaged area to make a barrier to stop the blood from leaking outside. When the human body gets sick, it increases the body and blood temperature to make more WBCs for fighting with infections. 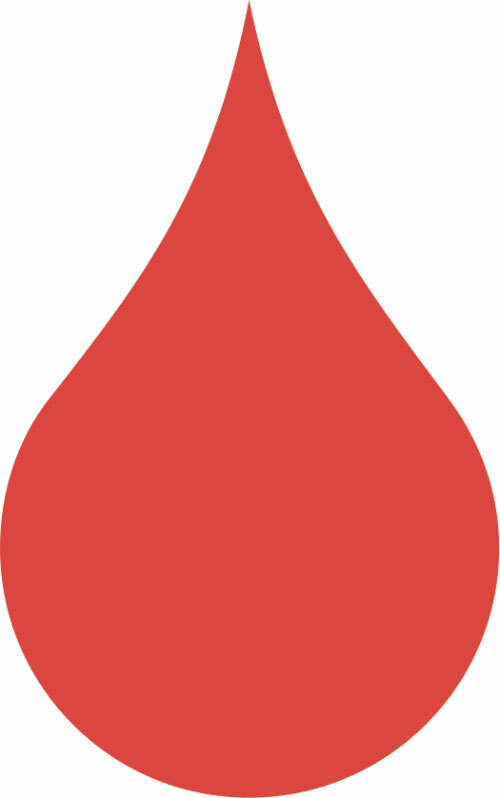 An average sized person has around 30 trillion red blood cells. This larger number accounts for the 70% of all the body’s cells. Blood in the human body also carries insulin, a natural hormone, which helps cells in absorbing sugars. When there is insufficient insulin production, then the person gets diabetes. Abdul Wahab, "Blood," in Science4Fun, April 12, 2019, http://science4fun.info/blood/.